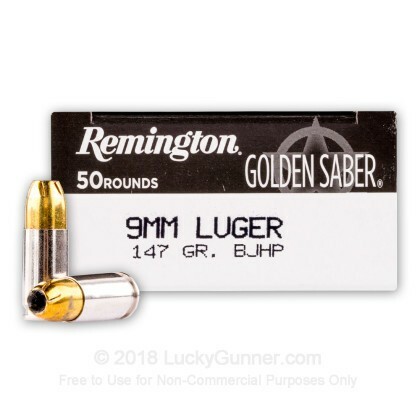 Remington's classic Golden Saber load remains an excellent choice for self-defense purposes by maintaining excellent modern features. These include clean-burning propellant charges, non-corrosive Boxer primers, and nickel-plated brass casings which resist moisture and reduce friction for more reliable feeding and cycling. 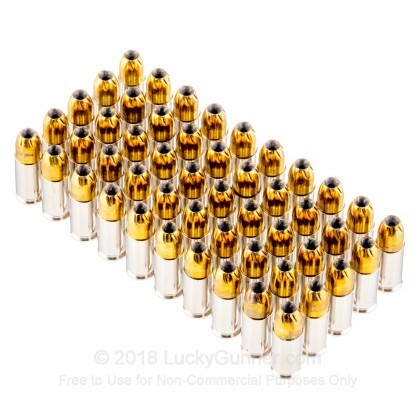 Each of these 9mm Parabellum loads is completed using Remington's brass jacketed hollow point (BJHP) which has a harder skin than copper jacketed bullets; this decreases deformation caused by barrel travel for better accuracy and deflection when penetrating light barriers. 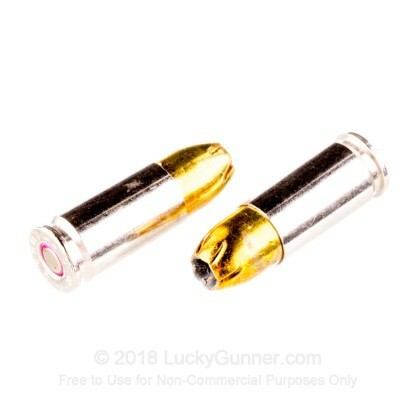 During entry into a threat, the 147-grain bullet will experience a great degree of expansion due to its spiral-cut hollow point design. 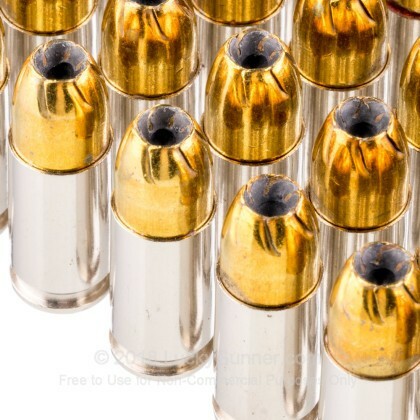 The brass material slows the rate of expansion so that the bullet can penetrate past thick clothing and breast plates before losing its velocity in more vital zones; this guarantees efficient transfer of energy to nerves and organs and shuts down a violent conflict with authority. 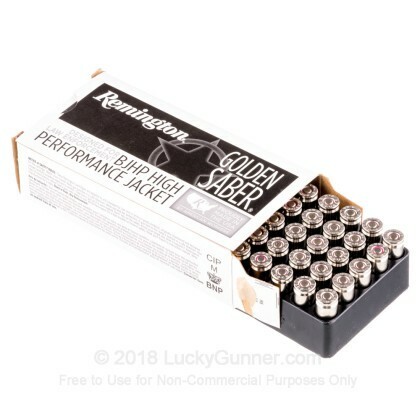 The heavy 147-grain weight is heralded as one of the most effective for the 9x19mm due to its penetration and terminal momentum. Remington is an American company with over two centuries of experience to their name. During this time they've designed firearms and calibers that are current staples of every shooting activity around the globe. 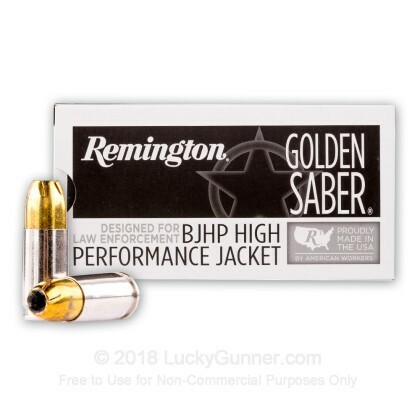 We also have this 9mm - 147 Grain BJHP - Remington Golden Saber - 500 Rounds ammo in stock in a bigger quantity.